This week on Triton to Watch, we had the opportunity to interview Andy Bodnar. He’s a rad student by day, currently studying molecular biology, but accomplished gamer by night — and is currently ranked eighth across San Diego in Super Smash Bros, a popular fighting game published by Nintendo. Q: How did you get into Smash? A: My first experience with smash was with its first iteration, “Smash 64.” That was back when it first came out in the late 1990s, when I was probably six or seven years old. It was a bunch of classic Nintendo characters mashed together in a fun game, what more could a kid ask for? Since then I have played every iteration that has come out since: “Melee,” “Brawl” and “Smash 4.” I went to one or two “Brawl” tournaments toward the end of high school, but it was not until about a year ago that I really got into the game competitively. It was actually one of my good friends, Chris Rugg (better known as “falln”), that first introduced me to the Smash community. He invited me to a tournament with him, and that was all it took for me to get the competitive bug. Q: Which character do you main? 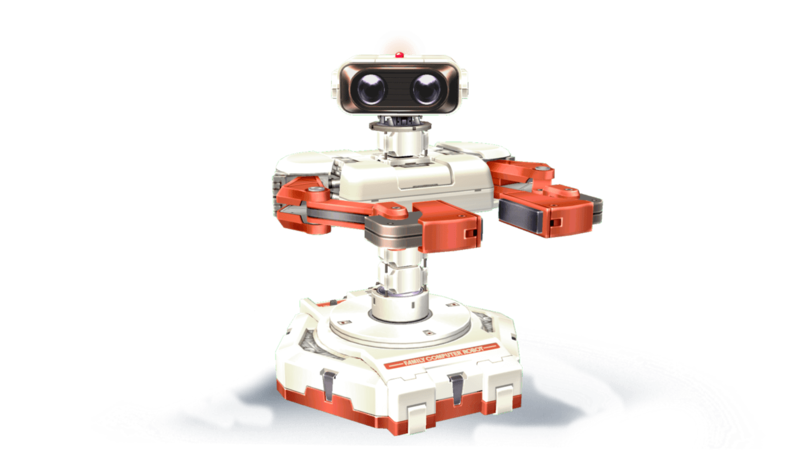 A: I main the Robotic Operating Buddy, better known as R.O.B. R.O.B is an interesting character, due to both a strong projectile game, as well as having one of the best throw combos in the game. R.O.B is a character that is usually considered fairly campy, but I like to think of him as more of a tactician’s character. You can switch from a long-range keep-away game to a throw-heavy game plan with ease. His projectiles can cause frustration in the other player, forcing them into decisions and patterns they would otherwise not make. By exploiting these patterns and bad decisions, R.O.B can really shine as character. Basically, the R.O.B player strives to make the opponent play their game, then trap them and finish off their stocks. Q: How did you get to be rank eight in San Diego? A: Getting ranked in San Diego was my long term goal when I first started playing. I started as every newcomer does, by going 0–2 at my first tournament. In order to get better, you have to be willing to take your lumps from better players. Otherwise, you will never realize your mistakes, and even more importantly, you will never learn how to fix those mistakes. I was lucky in one sense though, as I have a world class training partner in falln. You get better really quickly when you are training with one of the top players in the U.S.! I have to attribute at least some of my success to him, as he was willing to take this scrub under his wing and teach me the intricacies of the game, things that would have otherwise taken me a much longer time to pick up. A: I would say my next major goal is to make the SoCal [Player Rankings]. San Diego has some good players, but it is still just a subregion of the greater SoCal area. This means a lot more traveling to tournaments in and around the Los Angeles area. In addition, I also plan on attending EVO 2016 in July. The best players in the world will be there, and it is a great chance to clash with some of them. My goal for EVO is to at least make it out of the first round of pools. This would rank me somewhere in the best 128–256 players in the world (depending on how many they take out of first round pools). It would be a great accomplishment for me, and would really validate the time I have put into this game. Q: How do you balance school and maintaining your rank? A: No question, school comes first. There have been many tournaments I have missed due to midterms/finals etc. While this is a fun hobby, I am under no delusions that it will turn into a career for me. Generally I go one or two tournaments a week. It is a great way to let off steam after studying for hours on end. It is at tournaments that I get most of my practice in, as there is no better way to prepare for in game situations than to actually experience them in a high pressure situation where one wrong move could mean the difference between going home with money in your pocket, or just lint and dust. Otherwise, most of my time is spent studying for classes. Quick plug: anybody who is interested in picking up the game should go to the tournaments here at UCSD. They are usually every Sunday, and you will never meet a group of more inclusive, kind, and great people then you do in the Smash community. Hope to see you guys and gals at some of these tournaments soon!